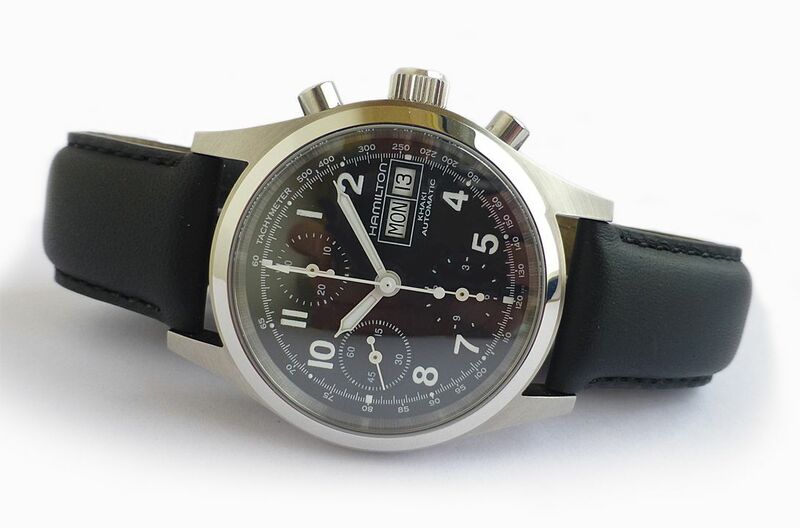 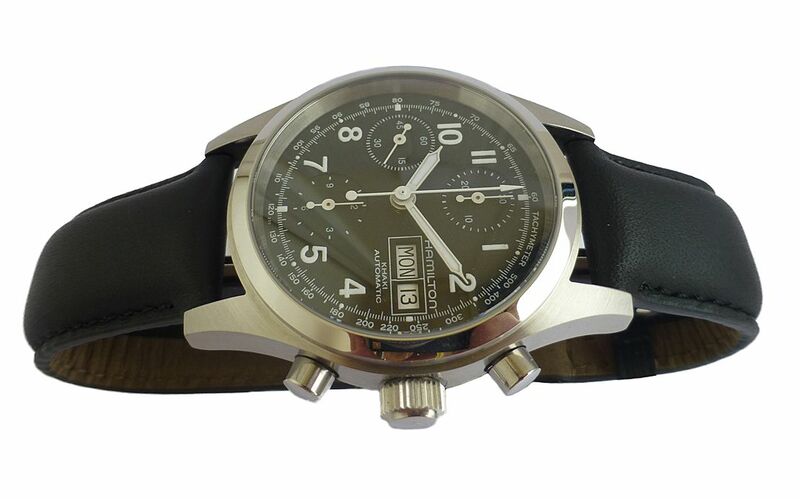 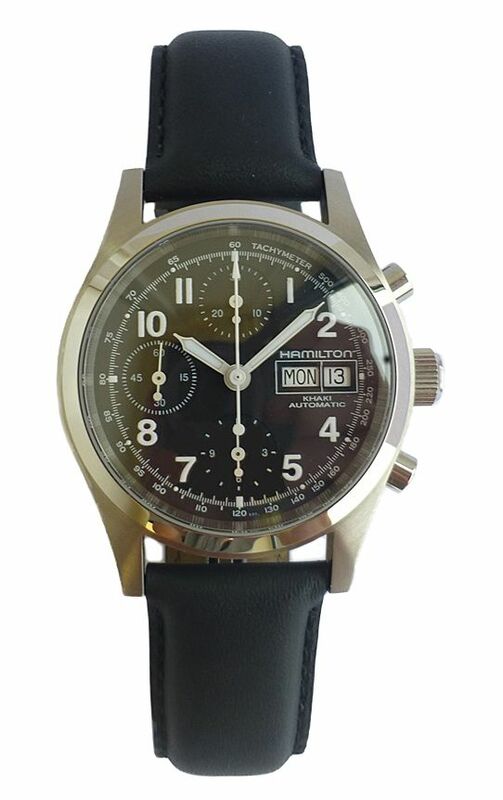 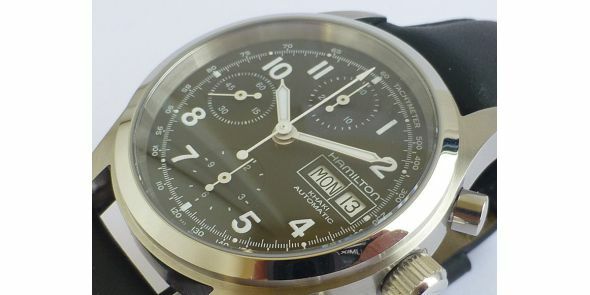 Mint and brand new looking hardly used condition Hamilton Khaki automatic chronograph. 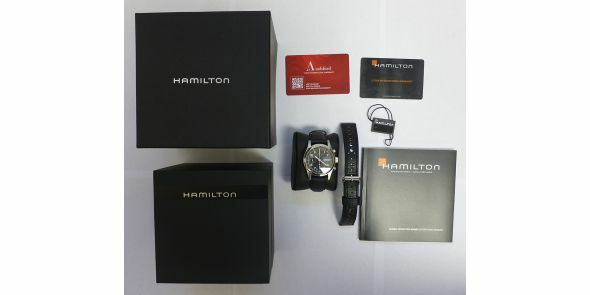 It comes complete with box and papers with unsigned warranty card, on the original black leather strap and a spare black leather hole punched generic strap. 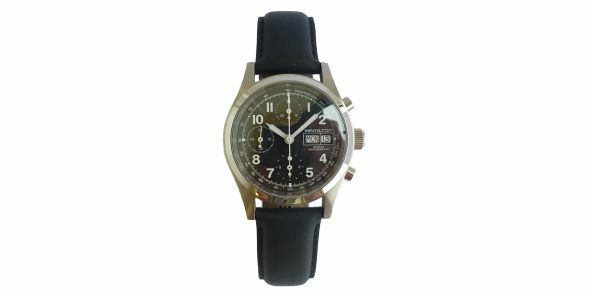 It is the classic field watch with matt black dial, large legible hands and indices in a military style. 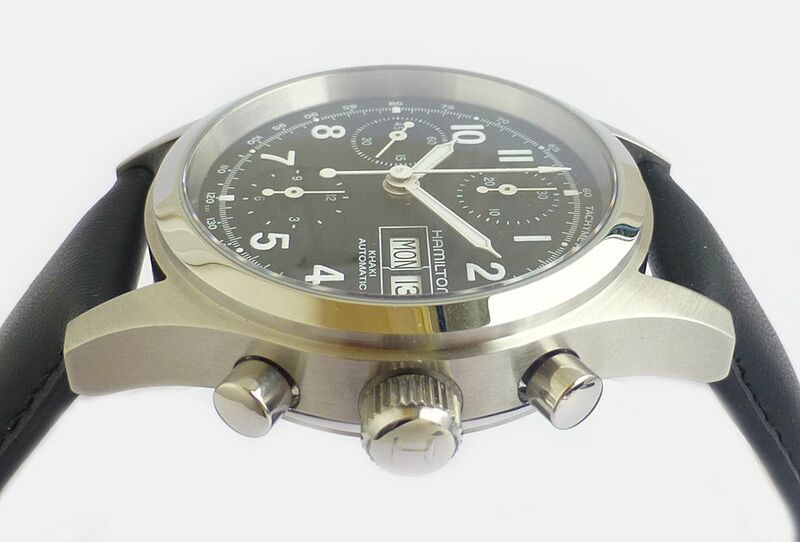 Durable and solid stainless steel case with brushed finish. 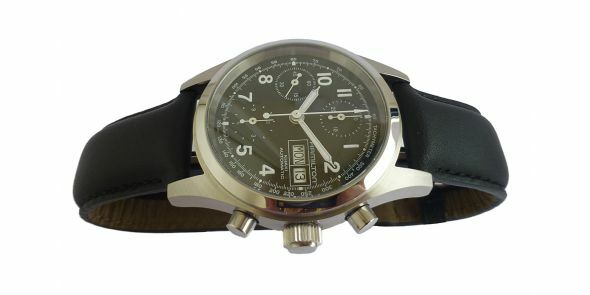 The movement is the venerable and trusted 25 jewel Swiss made Valjoux 7750 automatic chronograph. 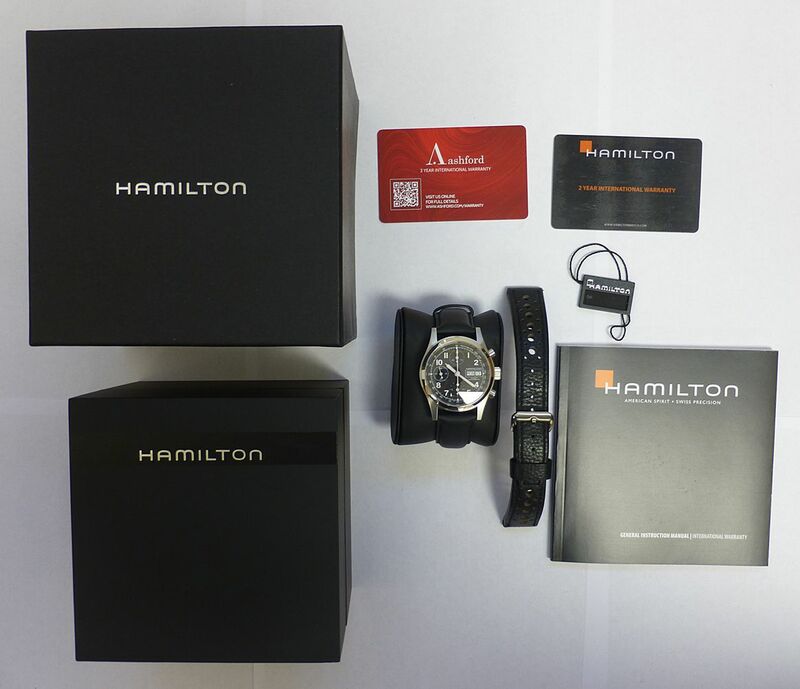 Hamilton are now part of the Swatch group – the largest group of Swiss watch companies so have a prestigious name. 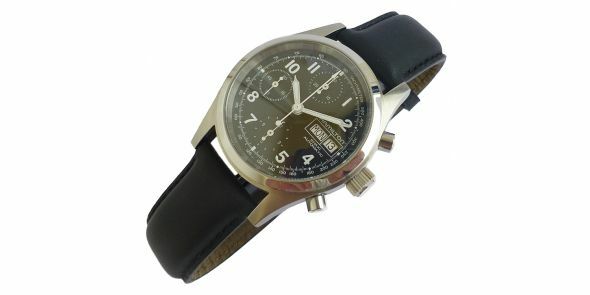 It is a good value for money watch and one that can be worn on most occasions. 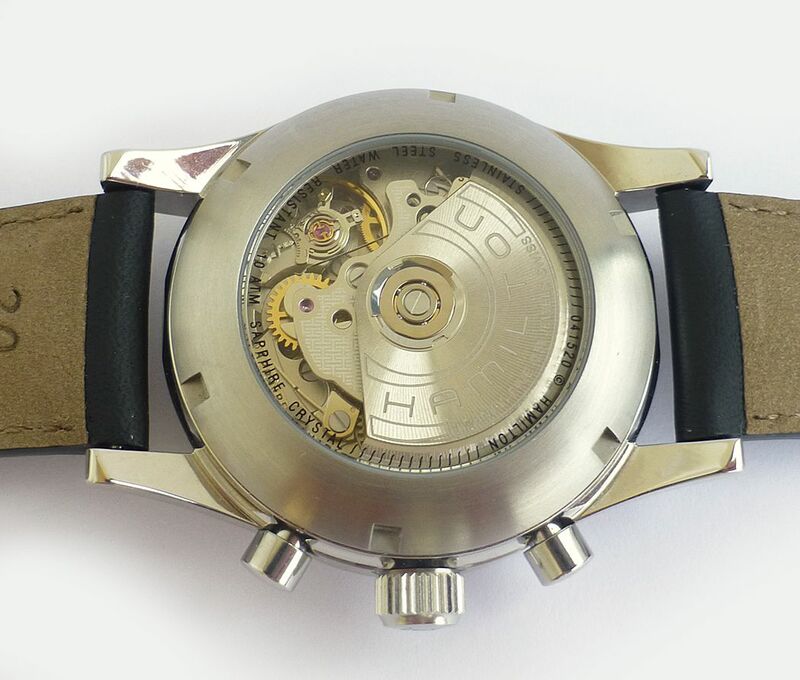 Sapphire crystal to the front and glass case back, large crown and pushers. 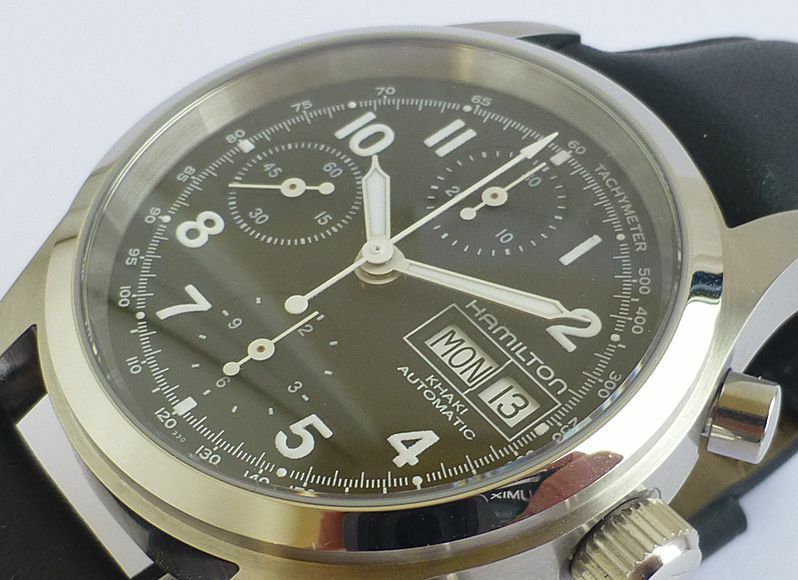 water resistant to 10 ATM. 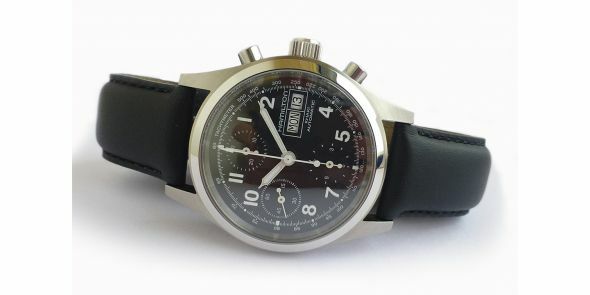 Day and date at 3 position, continuous seconds at 9, 30 minute recorder at 12 and 12 hour recorder at 6. 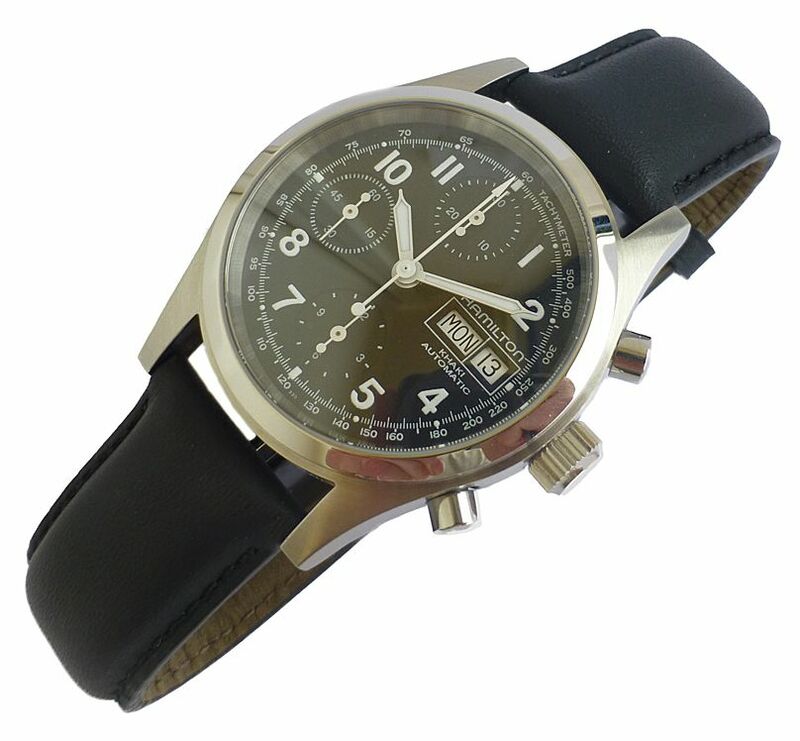 It comes and a replacement tan leather strap. 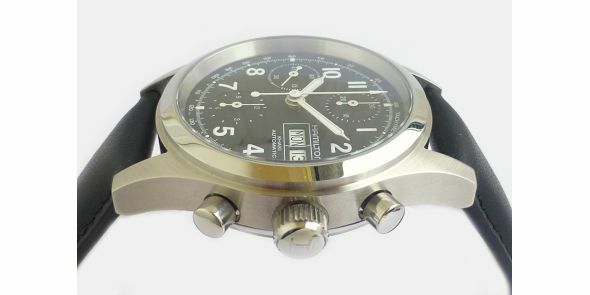 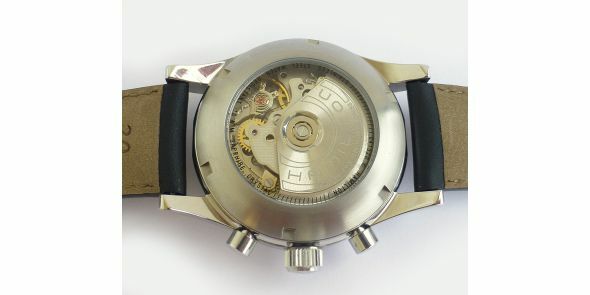 Dimensions are 38 mm excluding crown, 42 mm including crown, 44 mm lug to lug and 15 mm thick.